The post below was written by one of my students, Ben. In my short time at Mulago Hospital I have become extremely impressed with the pharmacists here and their passion not only for the patients but for their profession. They are completely aware of the issues that they face including limited staffing, supply chain issues, concerns about drug efficacy and quality, and documenting and making interventions. Despite all of these issues, the pharmacists aspire to get to a point where they believe pharmacy is in America, providing valuable input with doctors to improve patient care and make a greater impact on patient health. While we have made great steps towards this in the US the idea is idolized and sought after by this group of pharmacists at Mulago. They encourage all pharmacists and interns to read the patient chart and encourage the pharmacists to make independent decisions and also institute best practices. They want to move to the point where the prescription is a recommendation and the pharmacist is able to make appropriate choices. On my time rounding with one physician he was extremely interested in having a pharmacist there helping to assure pharmaceutical care is appropriate and all drugs prescribed have an indication and purpose for the patient to be taking them. This is an excellent opportunity that the pharmacists have worked to achieve, and the 3 pharmacists are working to do this in a large 2000 bed hospital. The intern pharmacists are in the process of learning the clinical knowledge and are working to improve in that respect and improve patient care. There are a few more minor areas that the pharmacists are able to make a great impact on patient care. They have started to work on delivering the medications to the bedside to see that it is taken by the patient, because only IV drugs are given by the nurse and the remainder of responsibility falls on the patient’s care giver. By ensuring medications are taken properly, these pharmacists and interns are helping patients improve, and at a faster rate. The team is also working to address the over use of antibiotics in patients, with the concern that if it continues it could lead to drug resistance. On the floor they were checking to see that the antibiotics were appropriate and if they took the opportunity to implement more of a cultural move towards the use of culture and sensitivity tests, they will continue their success. The issues that face this team are no small problem. Once you meet the staff and come to understand their goals and their passion for reaching them, one can see that although the path will be difficult and arduous, this group of professionals will be able to accomplish the changes that they seek to make. It is not going to be a quick fix or an easy solution, but ultimately they will be able to improve the quality of care for their patients. It is the passion of these individuals working together to make improvements at their own professional level that will help to improve the hospital as a whole. This is a nice piece. 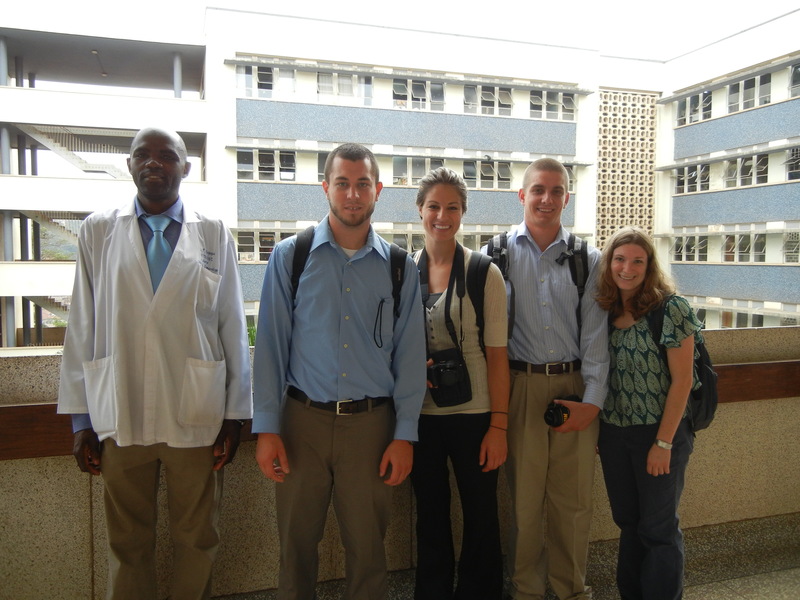 As an intern in Mulago, serves as feedback from a visitor.